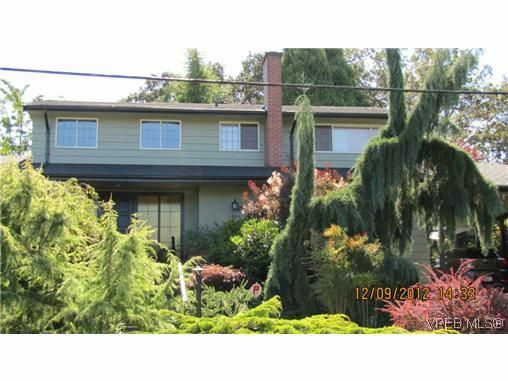 Large family home on a quiet cul de sac steps from UVIC & "secret" path access to Campus View Elementary with huge playing field. Beautiful, quiet, private & fully fenced lot with mature garden & south facing back deck + covered BBQ area & garden shed. Separate entrance & suite potential down with formal LR + DR on main plus sunroom, office, large kitchen & laundry. 3 full bedrooms on the upper level; master bedroom with good closet space & 3 pc ensuite. This 1960's custom built home also features 3 fireplaces, newer roof, gas furnace, HW tank & good parking. Some simple updates would build additional equity into this very well priced and larger than average 2,990 SQFT offering.